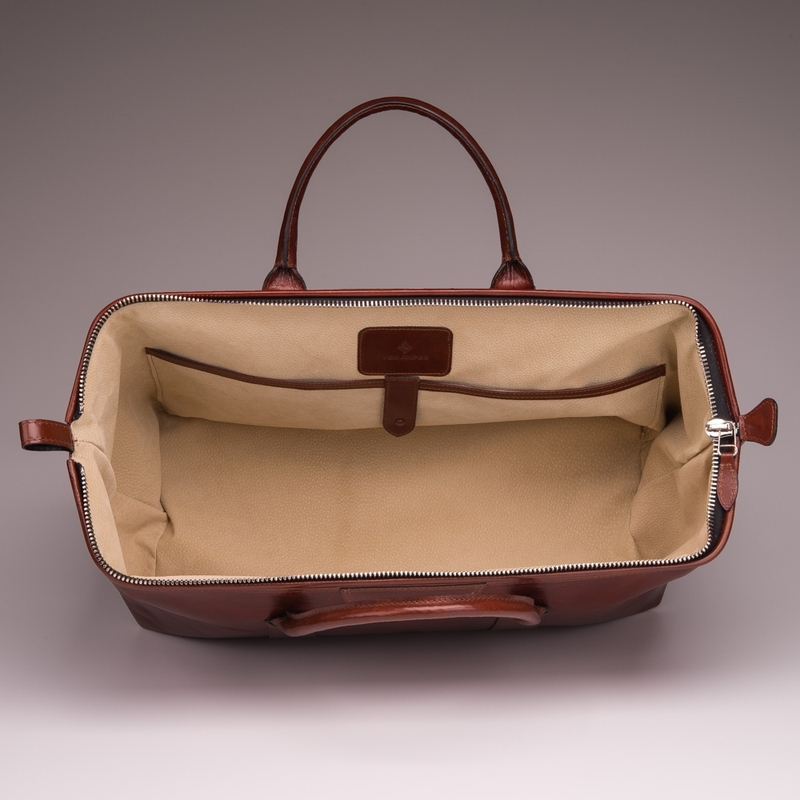 Size: 55 cm x 26 cm x 25 cm / 21,5" x 10" x 10"
Our classic travel bag is especially robust and is characterised by its beautifully strong leather, which will develop a wonderful patina over the years. 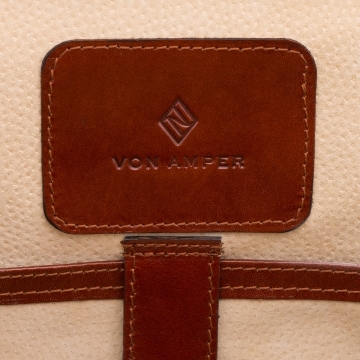 One of its key features is the stable metal frame which reinforces the bag, making it easy to open and to fill with your items. 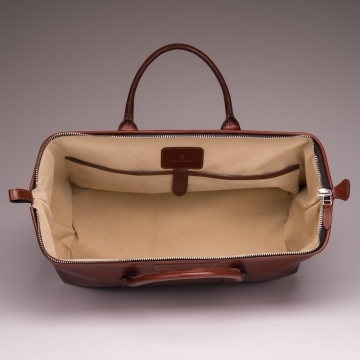 It is nevertheless large and roomy enough for a short weekend break or for a trip to the gym. 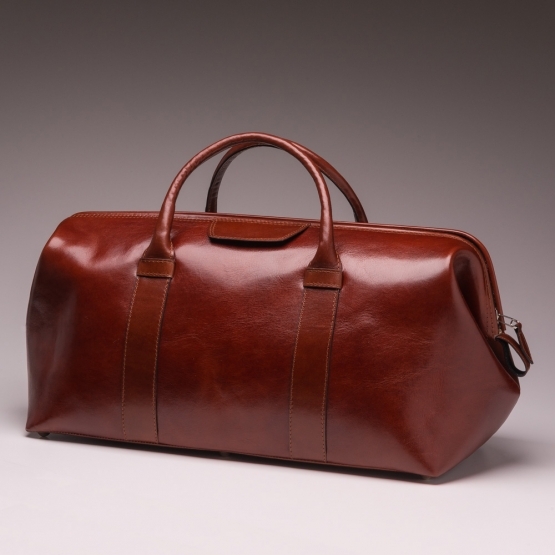 Made from calfskin. 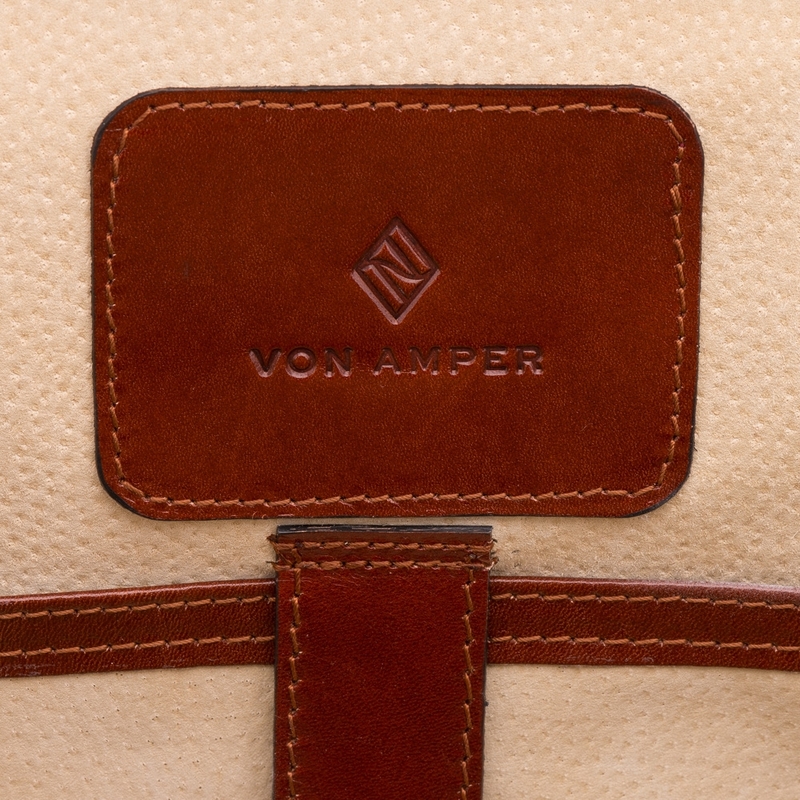 Our travel bags are made by hand in Germany in a small, family-run factory. The company was founded in the mid-19th century and exclusively manufactures high-quality leather goods, drawing on old traditions and the experience of five generations.